Hello there! 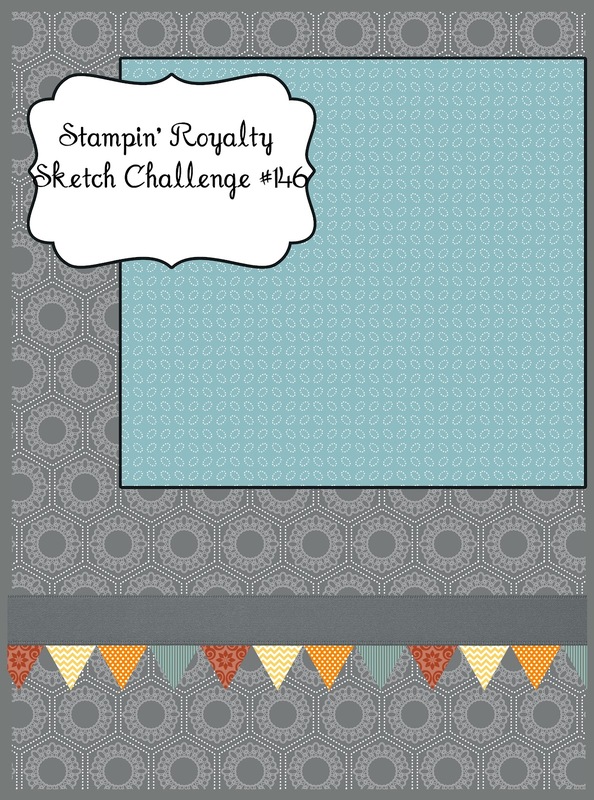 Welcome to today's Stampin' Royalty challenge. This week's challenge is a sketch challenge, which I think are the best challenges. All of the hard work has been done for you, you just need to pick your supplies and head on over to the Stampin' Royalty to show us what you have come up with! I have been seeing online a ton of great ideas on how to use the glassine bags that come with the ghoulish googlies designer kit, so I thought that I would add one more. I carefully cut up one of the bags and sponged more mustard on the edges on my strips. 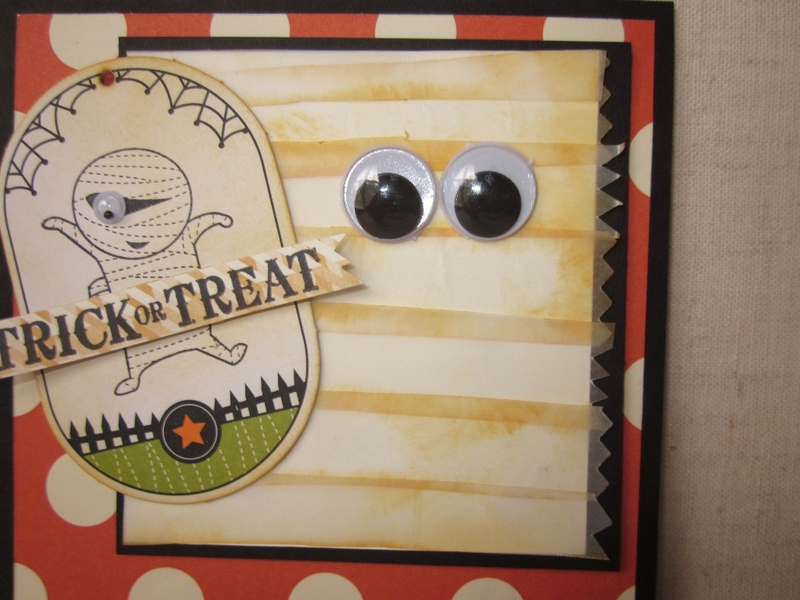 I left the edges the way they came with the pinked edges, and used SNAIL to attach my strips to a piece of very vanilla card stock, I then added some great big googlie eyes from my stash and mounted the whole thing on basic black card stock. 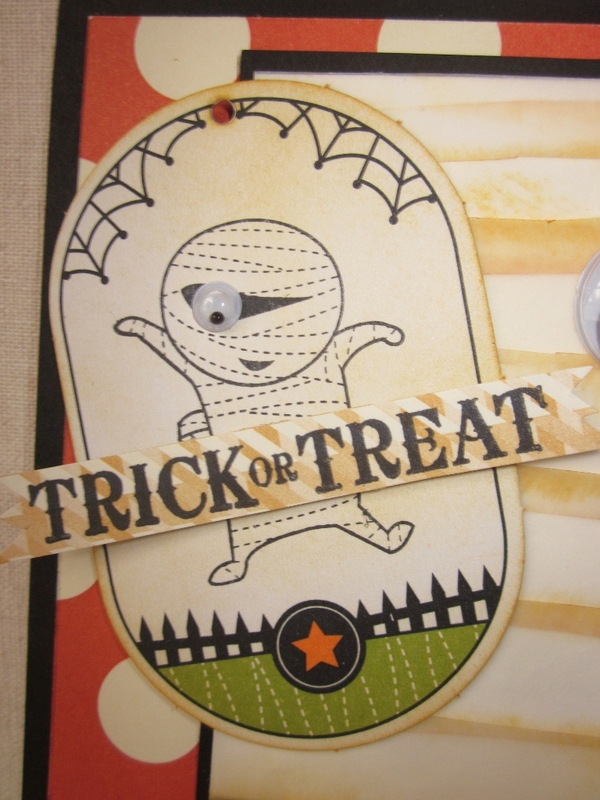 I have wanted to use this cute little mummy stamp from the Googly Ghouls stamp set for a while now, he is so cute. 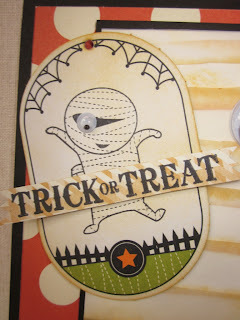 I sponged my tag from the kit with more mustard so it would not be so white, stamped my mummy, and added my trick or treat stamp from the Toxic Treats stamp set. I used my pennant builder punch to punch little flags out of my houndstooth and scaringbone DSP, added some basic gray taffeta ribbon and some basic black 1/8 taffeta ribbon to the top of the pennants. 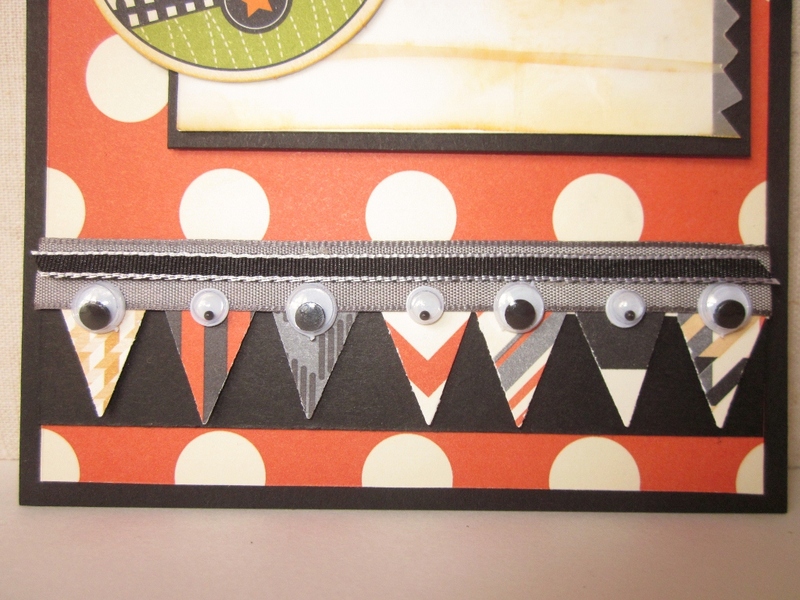 I then added two different sizes of the googlie eyes to each pennant to keep with my googly theme. Notice anything different? 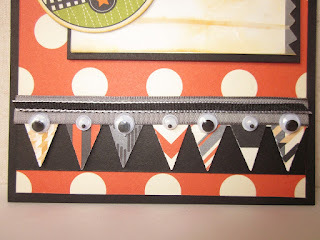 When I was writing my post, I noticed that my tag didn't have a ribbon, so I went back and added a ribbon, but since the other pictures were done and sent off, I didn't change them. I do want to announce a personal promotion that I am launching this week. 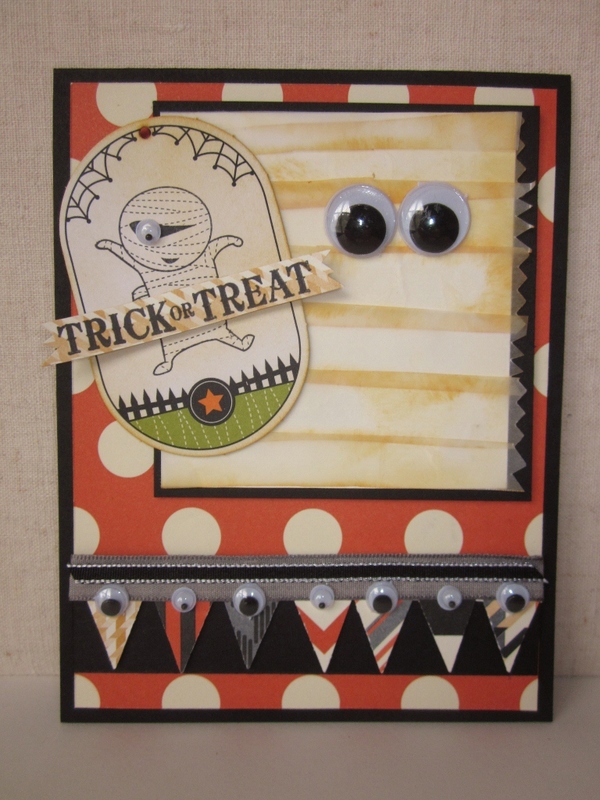 With any order through me or my ONLINE STORE, you will be entered to win a Season of Sweets Designer Kit! 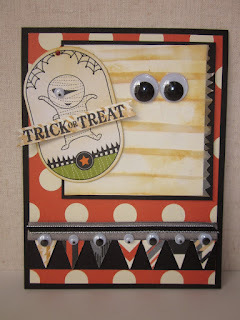 I love making projects from these great new kits that SU has put together for us. This kit will arrive in time for your Christmas projects. All you need to do to qualify for an entry in the drawing for this FREE kit, is to place an order with me before November 1st. You will get a entry for each order placed in the next two weeks, so figure out what you would like, order HERE, and I will enter you, it's that easy! This item will be shipped directly to the winner after the drawing on November 1st, easy peasy! 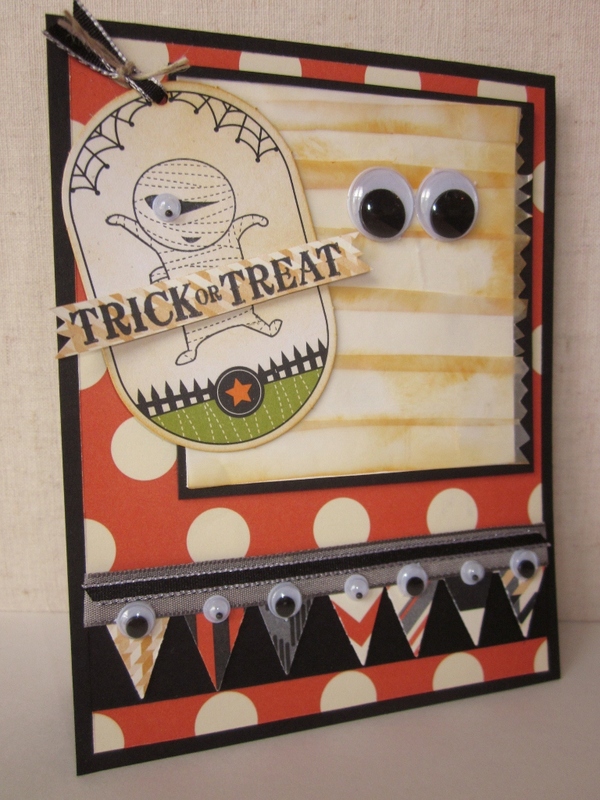 Check back tomorrow for my Pals Paper Arts card, thanks for stopping by today, I hope you were inspired, enjoy! 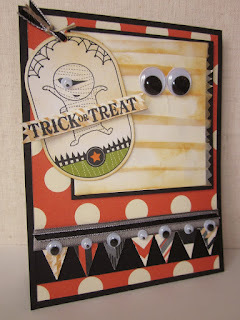 I don't know if it's "normal" to call mummy-stuff cute...but this card IS cute! Great job, and I LOVE the googlies atop the banners!